Create a space you will feel glamorous in when you bring this occasional table set into your home. 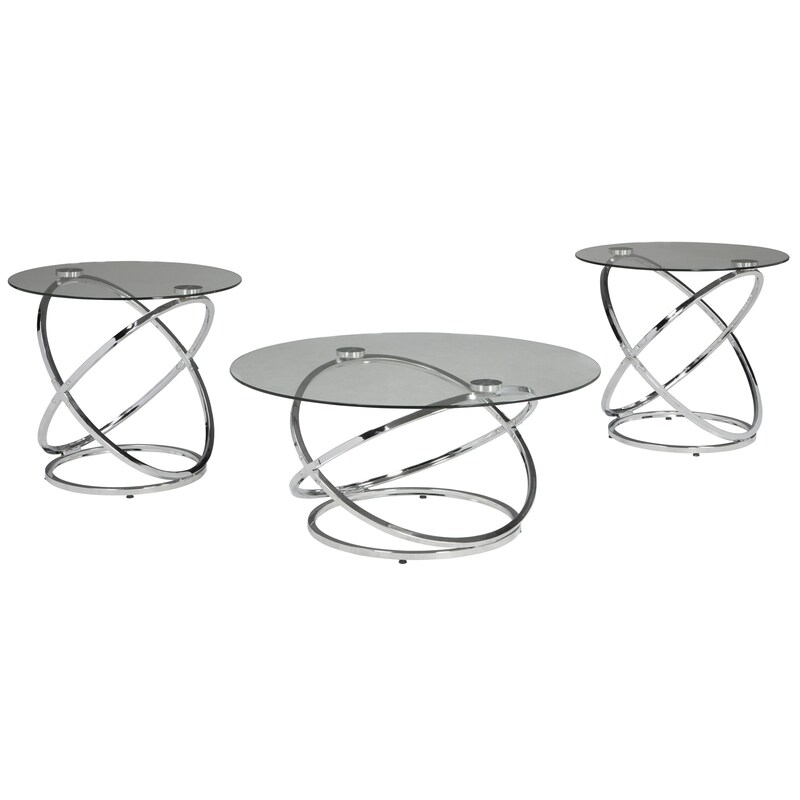 This occasional table set features rounded tubular metal legs in a shiny chrome color and round tempered glass table tops. The Hollynyx Occasional Table Set with Tempered Glass Table Top by Signature Design by Ashley at Michael's Furniture Warehouse in the San Fernando & Los Angeles area. Product availability may vary. Contact us for the most current availability on this product. Case Construction Made with tubular metal and clear tempered glass.